My first attempt at a wulst and wulsthaube in March 2011 was serviceable, but not historically accurate. 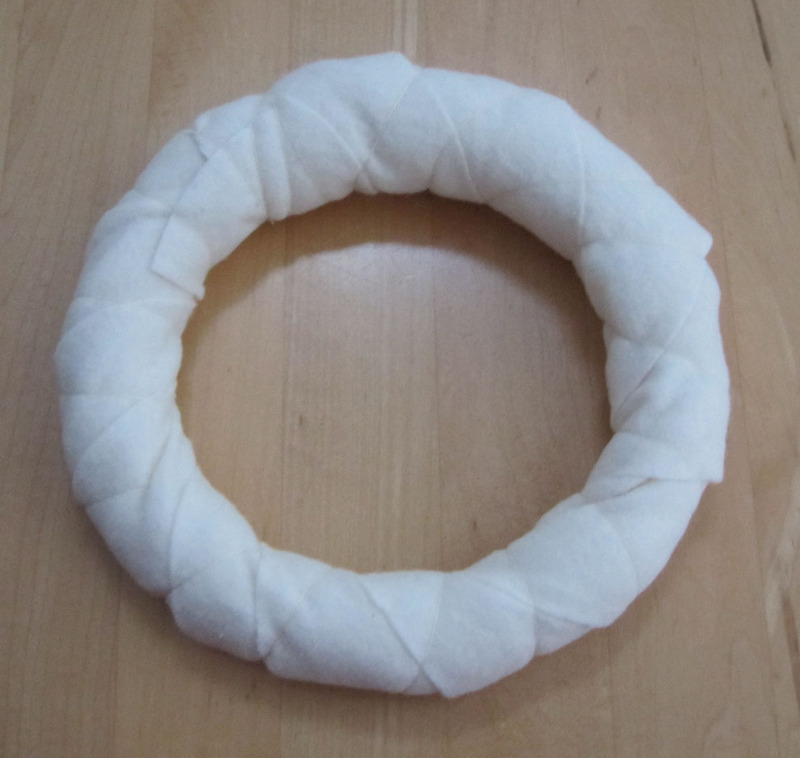 I made a tube of poly fiberfill and attached it to a wulsthaube. 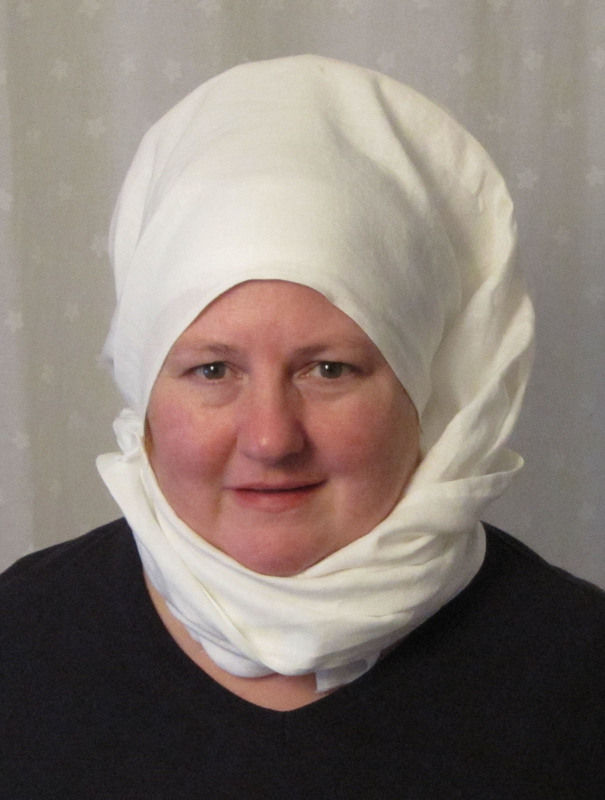 However, the fiberfill form does not stand up to a veil being draped over it and will distort easily. Also, it was too large and round. 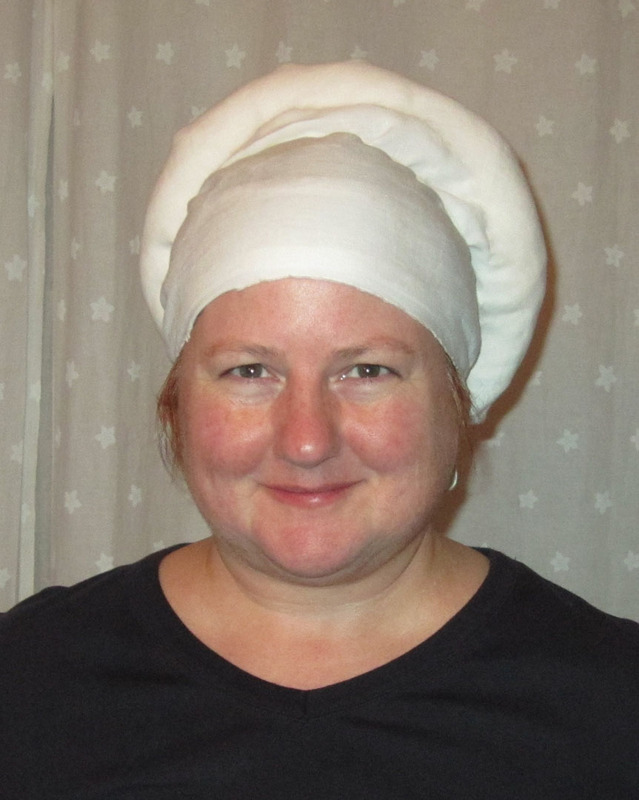 It gave me a rather poppin’ fresh dough boy look.On Oct. 23, 2011, Mistress Sophia Kress taught a German headwear class to a small contingent of the St. Anne’s Guild of Clothiers in Frederick, MD. I was one of the lucky attendees. Since then, I have conquered the process of making a more historically accurate version. Step 1. 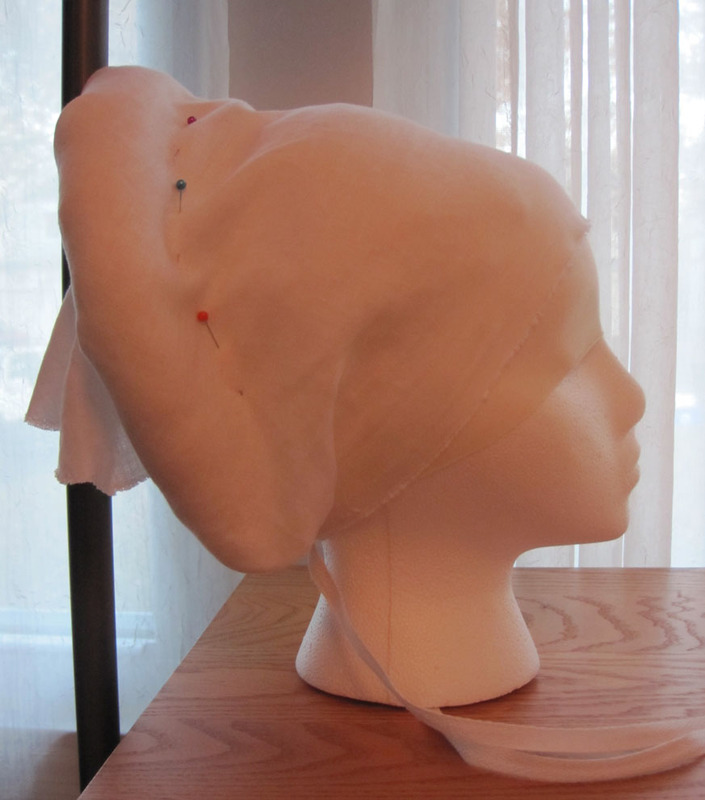 Make a personalized head form. 2. Measure the foam head. 3. 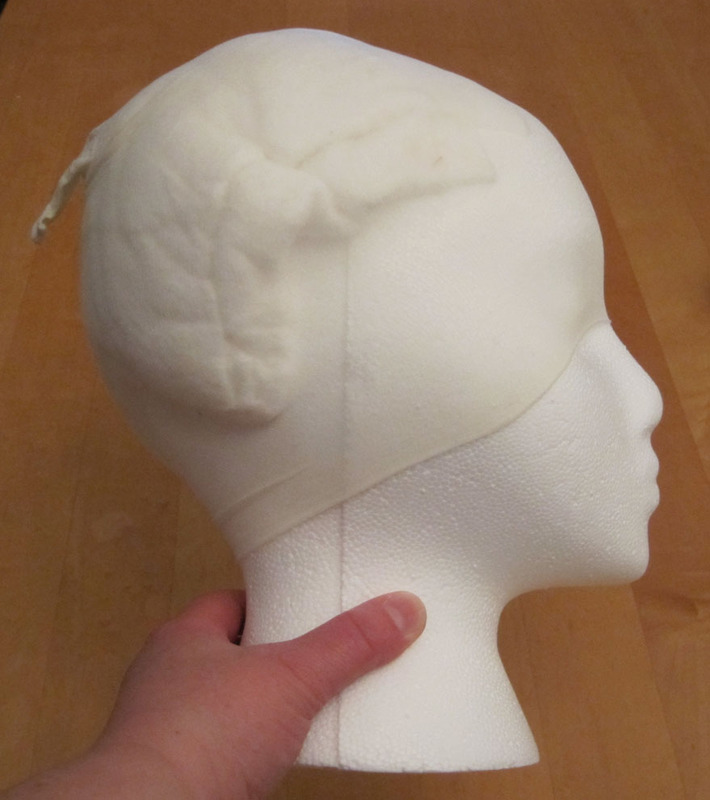 Apply quilt batting to the foam head to bulk up the form to the size of your own head meaurement. 4. Put a stocking over the batting to hold it in place. 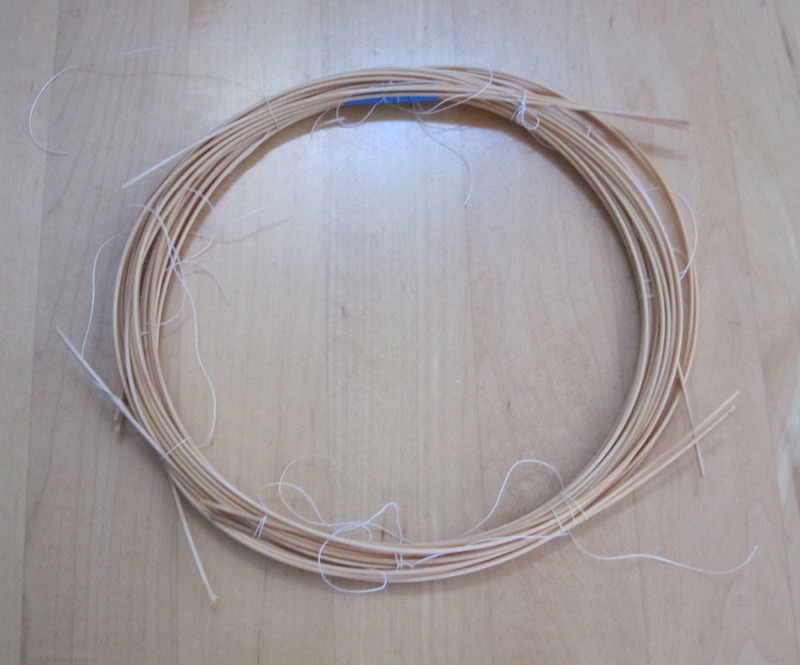 Materials: #2 size round reed (1.75 mm) , quilt batting, sturdy thread or twine.Cut 12 pieces of 60″ long reed. Cut 2 pieces of quilt batting, 41″ long and 4″ wide. Soak the reed to make it soft. It only takes a few minutes. 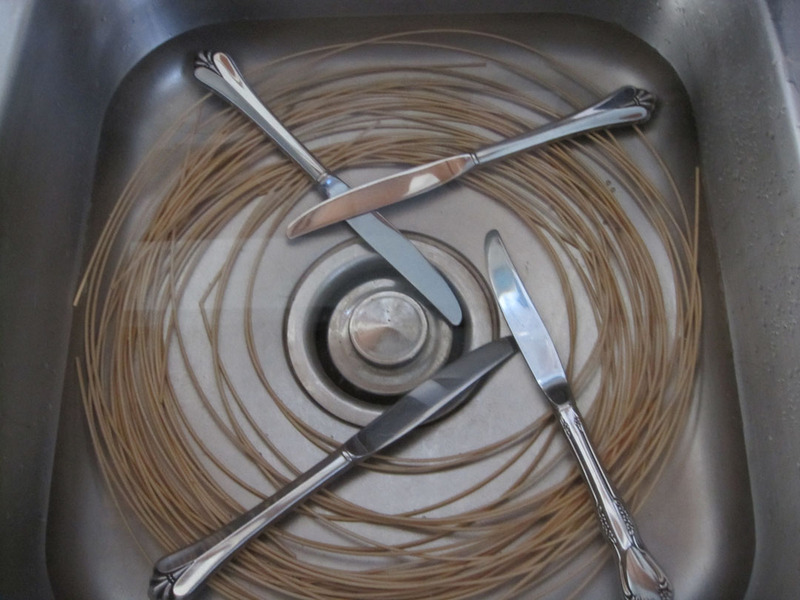 Tie a single piece of reed in a circle around your head to get the general shape. Make a bundle of reed of that size. Wrap a first layer of batting around the reed, then a second layer of batting around the wulst and secure with heavy thread. Attach to wulsthaube. 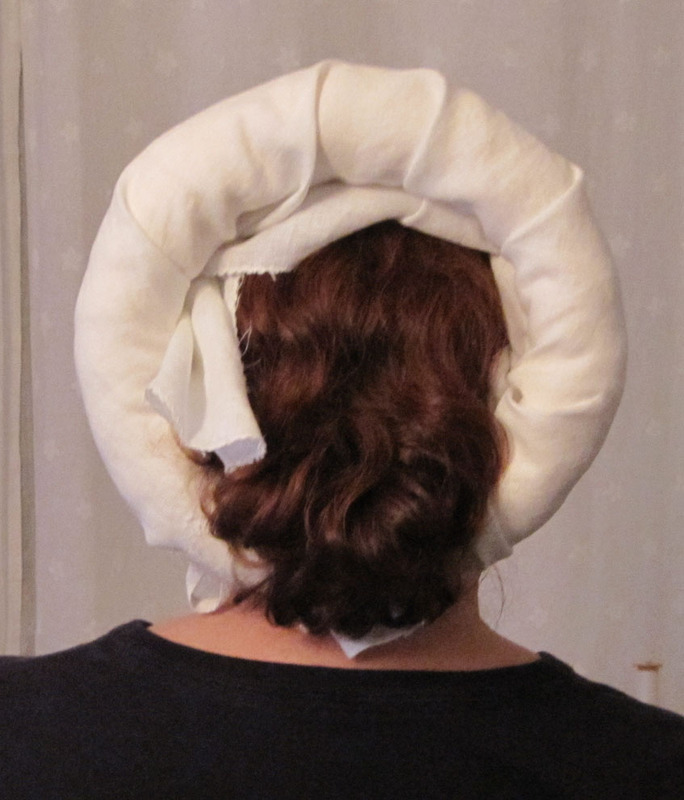 This is the most difficult part and I don’t have a great photo of it. 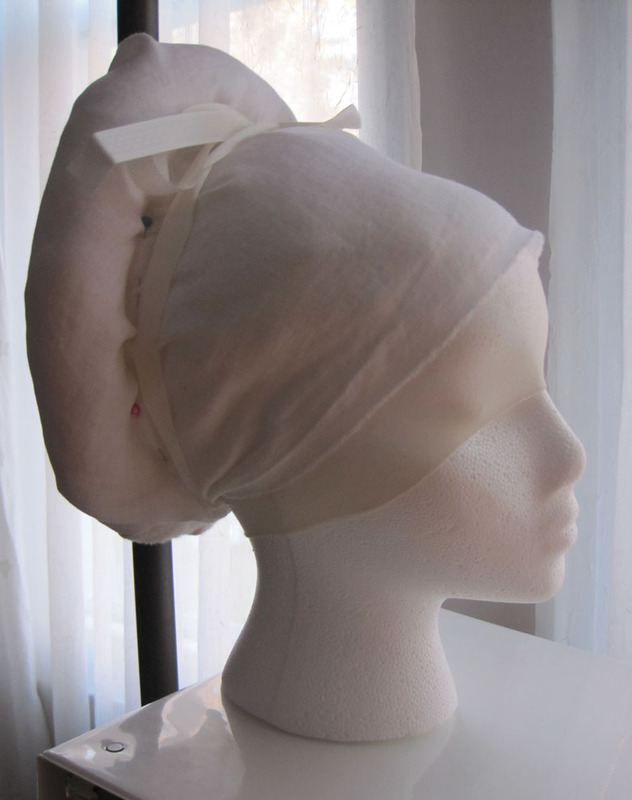 Think of a wulshaube as roughly bandanna-shaped. 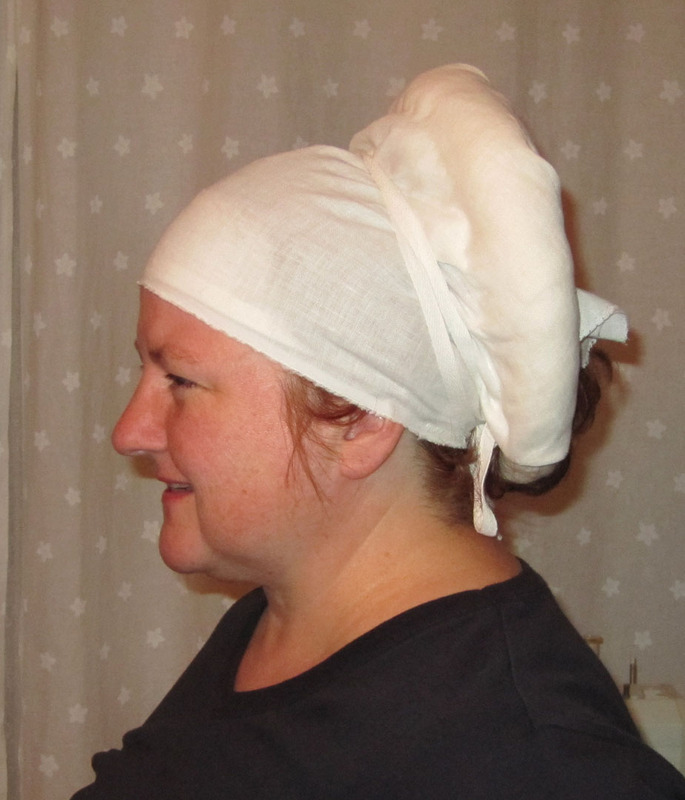 Think about tying around your head to keep your hair out of the way. The pointy end of the triangle faces the back of your head. Got that? 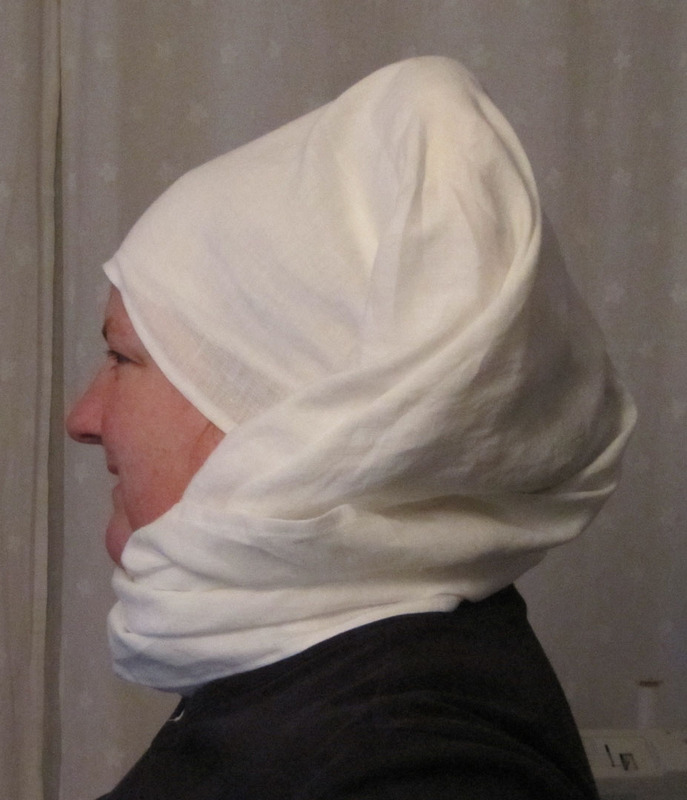 Okay, well imagine that the pointy part is actually much bigger than a normal bandana and you’re going to shove a ring of reed up underneath the pointy end of your bandana and pin it into place. That’s what is seen in the photo on the left. Tie in place to complete your under-structure. 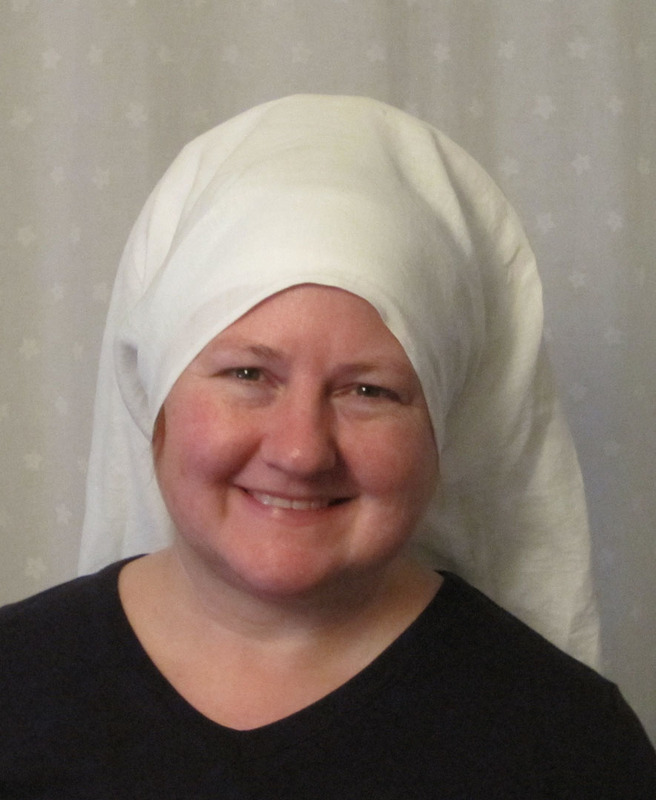 56″ x 21″ veil with long tail wrapped around to the side and pinned in place. Variation on the veil, unpinned. Do you find wearing this that it causes you to be warmer?